Four Way Books, 9781945588266, 128pp. A memoir-in-poems about coming of age in sultry Florida and navigating a complex lesbian relationship grounded in the daily world. 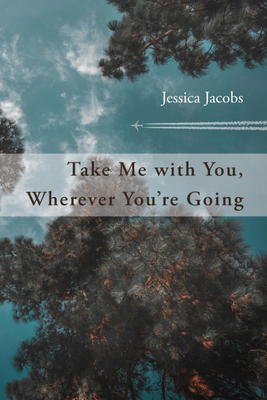 Jessica Jacobs is the author of Take Me with You, Wherever You're Going (Four Way Books, 2019) and Pelvis with Distance (White Pine Press, 2015), a biography-in-poems of Georgia O'Keeffe, winner of the New Mexico Book Award in Poetry and a finalist for the Lambda Literary Award. Her chapbook In Whatever Light Left to Us was published by Sibling Rivalry Press in 2016. Her poetry, essays, and fiction have appeared in publications including Orion, New England Review, The Missouri Review, Crazyhorse, and the Oxford American. An avid long-distance runner, Jessica has worked as a rock climbing instructor, bartender, editor, and professor, and is now the Associate Editor of the Beloit Poetry Journal. She lives in Asheville, North Carolina, with her wife, the poet Nickole Brown.